Making work and fami­ly life com­pa­ti­ble is beco­m­ing increa­singly important. In many fami­lies, both par­ents have jobs so a well-orga­nis­ed approach to ever­y­day life is more essen­ti­al than ever. When mums and dads are in a tight spot, howe­ver, sup­port from employ­ers can be a god­send. 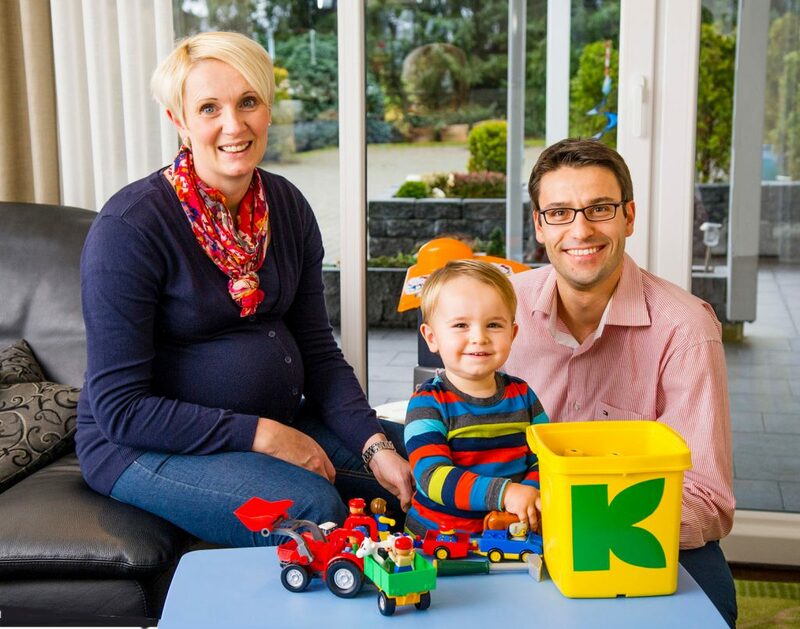 Klasmann-Deilmann can now offer a new ser­vice: emer­gen­cy child­ca­re. We inter­view­ed Ilka Kra­ne, our Human Resour­ces Offi­cer, to find out more. What does this emer­gen­cy child­ca­re sche­me invol­ve? Ima­gi­ne this situa­ti­on: your child­min­der has cal­led to say they’re ill, your part­ner is away on busi­ness and you have an important work mee­ting that can’t be post­po­ned. This is whe­re the emer­gen­cy child­ca­re pro­vi­ded by regio­nal asso­cia­ti­on ‘Ems-Ach­se’ comes in. You will be put in touch with a child­min­der who can step into the bre­ach at short noti­ce if your regu­lar child­ca­re is can­cel­led. As Klasmann-Deilmann is a mem­ber of Ems-Ach­se, we’ve made an arran­ge­ment wher­e­by we can offer this ser­vice free of char­ge to our employees in the Ems­land regi­on. So what’s the pro­ce­du­re in a child­ca­re emer­gen­cy like this? If there’s a child­ca­re pro­blem, the father or mother should con­tact me or a col­league at Human Resour­ces. I pass on the­se needs to the child­min­ding coor­di­na­ti­on unit. An avail­ab­le child­min­der will then make direct con­tact with the employee to take down the rele­vant details – such as exac­t­ly when child­ca­re is requi­red and also whe­re: if the child can be loo­ked after at home, or in the work­place while the parent is at the mee­ting. Com­bi­ning work and fami­ly life is obvious­ly an issue clo­se to your heart. As I have two young child­ren mys­elf – aged two and four – I know how important a good child­ca­re net­work is. Howe­ver well you orga­ni­se the working week and day-to-day fami­ly life, even the best-laid plans can go awry some­ti­mes. Ever­yo­ne who has kids will con­firm that. The way I see it, the­re are two key fac­tors that make is easier to jugg­le work and fami­ly. First­ly, it helps if both mothers and fathers approach child­ca­re as a joint respon­si­bi­li­ty. If they see them­sel­ves as on an equal foo­ting in terms of this role, both par­ents can be com­mit­ted to their care­er and to spen­ding qua­li­ty time with the fami­ly. Second­ly, it’s important that employ­ers help make work and fami­ly more com­pa­ti­ble. This starts with fle­xi­ble work models, and also inclu­des help with fin­ding day­ca­re pla­ces and an under­stan­ding of manage­ment that focu­ses more on employees’ per­for­mance and less on merely how much time they spend at the office. Do you feel there’s a need, and scope, for more sup­port in this area than is cur­r­ent­ly pro­vi­ded? Well, we’re a com­pa­ny that’s cer­ti­fied as fami­ly-fri­end­ly, so it’s a prio­ri­ty for us to help staff suc­cess­ful­ly balan­ce fami­ly and work. And it’s not just child­ren who need care. For many of us, care of rela­ti­ves – inclu­ding par­ents and in-laws – will beco­me an issue at some point. Here, too, we want to offer indi­vi­dua­li­sed solu­ti­ons to tho­se affec­ted. So what’s next on the agen­da con­cer­ning this who­le ques­ti­on of how to com­bi­ne work and fami­ly life? Right now we’re keen to get feed­back. How do Mums and Dads mana­ge to per­form this balan­cing act, day in, day out? And, if things do break down, whe­re exac­t­ly, and why? How can Klasmann-Deilmann pro­vi­de more effec­tive assi­s­tan­ce? We’re keen to lis­ten, and will appre­cia­te any input or sug­ges­ti­ons.